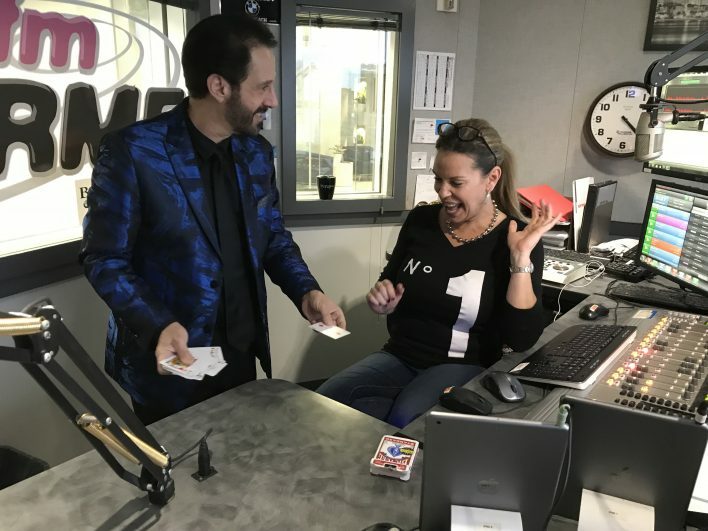 Great photo above – Gary Goodman performs a card trick with WRMF’s Tracy St. George during our recording of South Florida Sunday! We hope you found our first blog about getting to know Dollars 4 Tic Scholars’ Triple Threat! entertainer Gary Goodman. If not, you can find it right here. Let’s learn more about Gary Goodman! D4TS: Tell us about some of the venues you’ve performed – and what was your favorite? Gary: I’ve had the honor of performing my grand illusions in The Miami Arena in front of an audience of 20,000 as the half-time entertainment for eight seasons for The Miami Heat. Another favorite venue was the time my wife Jamie and I were flown in a private plane to an estate in Virgin Gorda owned by the Wildenstein’s to perform for their son’s 12th birthday. He was also the god child of Princess Diana. At the time the Wildenstein’s were the richest and most influential art dealers in the world. We also had the honor to perform for the Queen of England’s guards, the Beefeaters, at The Tower of London. Recently I had a dream come true when I was invited this past October to perform at The Friars Club in NYC. It’s a private club founded in 1904 whose membership includes popular comedians, actors and New York socialites. I was told that I was the 2nd magician ever hired to perform in the Friar’s history. D4TS: Can you share a tip for someone who is interested in a career as an illusionist? Gary: I would read biographies and articles on the great magicians of the past and present. I would also attend live performances of entertainers and learn about showmanship. It’s also important to learn about costumes, lighting and sound. D4TS: Who were your role models? Gary: My mother and father as well as the many great magicians and entertainers of our time. Gary: I have a trick that I will share with anyone who is sincerely interested in performing magic for their friends and family. Please feel free to ask me at the Dollars 4 Tic Scholars event to share this secret. D4TS: What would you say to someone who isn’t sure if they will enjoy the event? 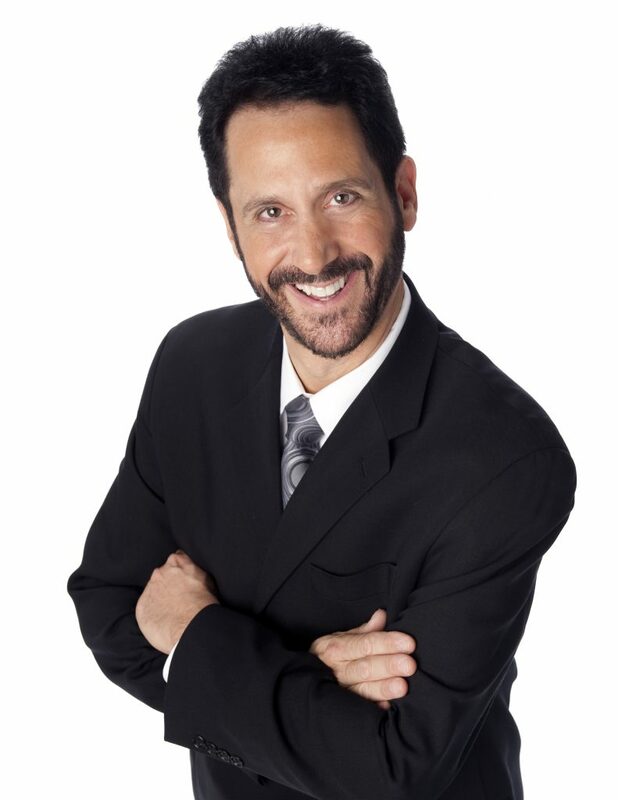 Gary: I promise you will become a believer in my “magic” after watching the unique way I present my Comedy, Magic and Mind Reading Show. I’ve had a few people over the years tell me they really never enjoyed a magic performance until they saw my program. Maybe it’s because I don’t take myself seriously and I truly enjoy entertaining an audience. I love to hear people laugh and seeing their eyes in amazement. You will also enjoy a delicious dinner complete with beer and wine. Don’t forget your chance to have fun with the silent auction. There are many great items for your bidding pleasure. Also the money you spend for this special magical evening is going to help so many children and future college students with Tourette’s. This will be an evening you will not forget for as long as you live…or maybe even longer. Dinner, Beer and Wine, and Gary’s Incredible Show, plus Great Raffle and Silent Auction Items!